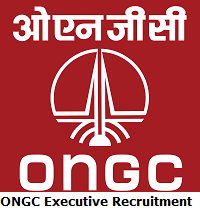 Latest ONGC Executive Recruitment 2019 Notification is provided on this page. The Oil and Natural Gas Corporation Ltd (ONGC) officials released a recruitment notification for 785 Executive (AEE, Chemist, Geologist, Geophysicist, Materials Management Officer, Programming Officer & Transport Officer) Posts. For this ONGC Executive Jobs 2019, the application process started on 5th April 2019 and the end date on 25th April 2019. Interested candidates can check the ONGC Recruitment 2019 details from this page. Eligible aspirants should apply for ONGC Executive Vacancies 2019 through online before closing date. Through this article, we had furnished Eligibility Criteria, Age Limit, Salary, Selection Process, Application Fee, Post Wise vacancies and Application Process details in clear explanation. So all the job seekers should check all those details and apply for ONGC Executive Job Openings 2019 Quickly. Before applying for ONGC Executive Recruitment 2019, candidates can check complete information from this article. Only aspirants who meet the eligibility criteria, they only apply for ONGC Executive Jobs 2019. Otherwise, the higher officials will reject the application forms. The Oil and Natural Gas Corporation Ltd (ONGC) officials will hire the candidates based on the GATE 2019 Score and Interview. Moreover, at the below of this page, we have given a link to download ONGC Executive Recruitment 2019 Notification. Aspirants can also check the official website to know more information about ONGC Recruitment 2019. Many of the candidates are looking for ONGC AEE Jobs 2019 in Oil and Natural Gas Corporation Ltd (ONGC). For those candidates, it is good news. The ONGC officials are going to fill the 550 AEE vacancy posts. So all interested candidates can check the ONGC AEE Recruitment Notification from this article and apply for ONGC AEE Vacancies without any delay. Here we had provided full details about ONGC Geologist Recruitment 2019. 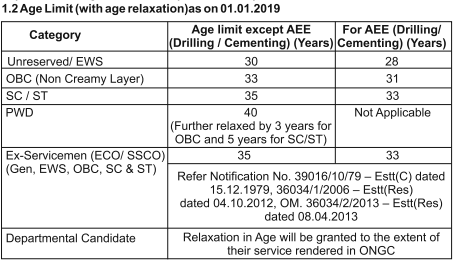 Candidates should apply for ONGC Geologist jobs before 25th April 2019 through online mode. More information about ONGC Geologist Vacancies mentioned in the below sections. This is great news for the candidates who are seeking for ONGC Chemist Job Openings 2019. The ONGC officials going to hire the 67 Chemist posts in the Oil and Natural Gas Corporation Ltd (ONGC) organization. So all the interested candidates must apply for ONGC Chemist Jobs before the closing date. At the below of this page, we have given ONGC Executive Recruitment 2019 Notification. To apply for ONGC Executive Recruitment 2019, candidates should complete their Post Graduation or Masters from any Recognized Institute or University in India, as the Educational Qualification. Aspirants can also check the official notification to know more information about education qualification or eligibility criteria. Based on GATE 2019 Score and Interview, the higher officials will hire the candidates for Executive (AEE, Chemist, Geologist, Geophysicist, Materials Management Officer, Programming Officer & Transport Officer) posts. The selected candidates will get the Pay Scale as per the company norms. Oil and Natural Gas Corporation Ltd (ONGC) main page will open. Go to Careers option which is available on the top right side of the main page. A page will open about all notifications related. Find the ONGC Executive Recruitment 2019 Notification and click on it. Read all available data on the advertisement. The above provided information about ONGC Executive Recruitment 2019 For 785 AEE, Chemist, Geologist, and Other Posts is very helpful for all the job seekers. For more updates about all government jobs, keep visiting Sarkari Naukri on a daily basis. Thank you.